That’s the view of Chef Irv Miller, who has authored a cookbook, Gulf Coast Oysters (Spring House Press, 2018), which presents “classic and modern recipes of a Southern renaissance.” Miller, on Saturday, conducted a meet and greet/book signing at the Hidden Lantern bookstore in Rosemary Beach. “You don’t know what a loaded question that is,” Miller replied, recoiling slightly and suggesting that my query was more stuffed with implications and traps and shades of meaning than Oysters Rockefeller are slathered in sauces and cream and a spinach mixture. Haltingly, Miller mentioned Caminada Bay and the Grand Isle Sea Farm in Louisiana. But he then proceeded to list oyster aquaculture operations all the way east to Cedar Key. And, he did give a nod to every-one-is-different, barnacle-encrusted wild oysters, noting that they are especially good in post-spawn periods. Miller has plenty of culinary cred. He is the executive chef at Jackson’s Steakhouse in Pensacola, a job he’s held for 20 years. He worked at Bud and Alley’s in Seaside during that restaurant’s early years. He underwent formal training at the Culinary Institute of America. Farmed oysters are triploid organisms, meaning that they have an extra set of chromosomes and are sterile. They grow faster than wild diploids and their meat remains plump throughout the year. They are uniform in size and shape and tend to have an ideal “cup size,” Miller said, employing a term usually reserved for something else. But even triploids can vary in quality owing to factors including the water they are pulled from, when in their development they are harvested and how they are cared for following harvesting. “Ideally,” Miller said, “oysters will have just the right combination of sweetness and brininess.” And that, of course, is a matter of taste. When I suggested to Miller that he is an “oyster change agent,” he cottoned to that right off. The book is beautifully illustrated with photography by Bill Strength; his images are mighty strong. Miller devotes two pages to “Shucking Oysters,” but the pages are mislabeled. Described instead is oyster surgery. So much so that the preferred implement is not an oyster knife, but a sharp-bladed one. For Miller, the boom in oyster aquaculture is like the explosion of microbreweries. “In fact, I prefer the term, ‘craft oyster’ to ‘boutique oyster,’” Miller said. People, then, may develop a particular fondness for oysters from Bon Secour or Panacea or Alligator Point. Shuckers, take note. Your job may increasingly come to resemble that of a wine steward, thanks in part to the Oyster Change Agent. 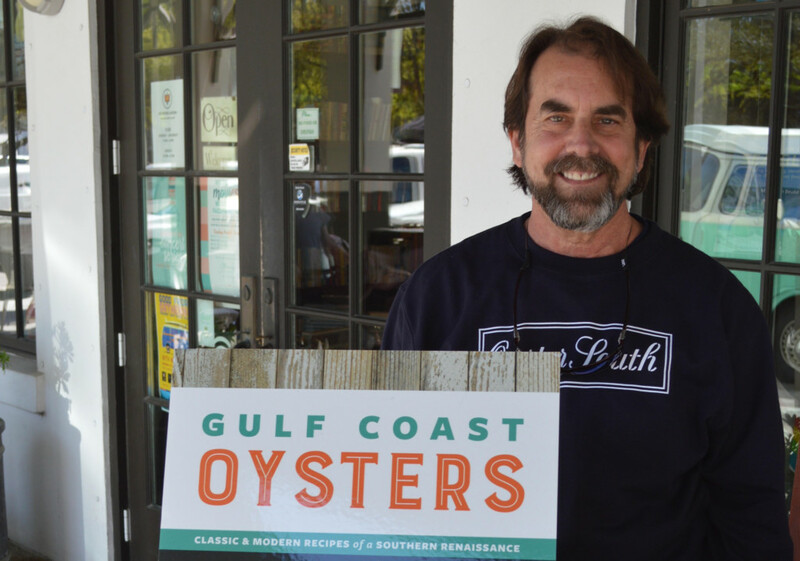 You can purchase Gulf Coast Oysters by Chef Irv Miller here.